We have officially launched this international online community of educators, researchers, practitioners, and learners who are interested in the topic of heutagogy, the theory and practice of self-determined learning. Please join us! The purpose of this project is to bring together people from around the world to share their practical experiences with heutagogy, their thoughts and questions about the theory, and their ongoing work within the field. 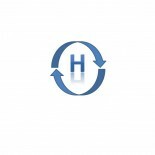 In addition to giving participants an opportunity to connect on the topic of heutagogy, this site will also serve as a repository of published and ongoing research into its theory and practice. In essence, we hope to collectively create an environment that will advance the theory further, while also mirroring the practice of heutagogy as self-determined learning. Someone like me who is not education theorist would like to what is the difference between Heutagogy and Pedagogy. Very interesting concepts, and intrusively makes sense. I look forward to reading more on the topic. Thanks for the query, which is more than a theoretical issue. Most of our educational and training systems are based on pedagogical techniques. Here the teacher is guru and controls both content and process-it is teacher directed. Useful for people who have no knowledge or skills in a particular area such as my experience as an artist for example. I would need a pedagogical approach early on in my learning. At best educational institutions might move to andragogy where the learner is asked to apply their own experience and to extrapolate. Heutagogy is less of an approach and more an understanding of how people learn. Humans are brilliant at learning, if we let them-look at your average 4 and 5 year old. Unfortunately as Russell Ackoff and others have pointed out our educational systems stymie that ability-even pokes their eyes out as Fred Emery said. What we who mess around with heutagogy are interested in is how to recreate the optimal conditions to let what comes naturally come naturally. Sadly, for most educational systems this will be seen as an innovation, when in fact it is………..
You might be interested in a couple of recent articles in which I’ve attempted to redefine learning. Let me know if you want them by emailing me at: stewart.hase@gmail.com. I think the PAH continuum is a great contribution to understanding how people learn. And I agree that people are more self-directed when they shift through pedagogy to heutagogy. Tay Boon Hou and I wrote a paper a couple of years ago describing PhD students in Singapore who did indeed shift through the PAH continuum described by Fred. However, self-direction is only one dimension of heutagogy. Some people confuse self-directed learning with self-determined learning, which is the definition of heutagogy. They are not the same although self-directedness is a key factor in higher forms of learning. It has always struck me that 5 year olds are almost perfect heutagogical learners and they quickly become pedagogical learners when they go to school. Would you kindly elaborate more on the distinction between self-directed learning and self-determined learning? Thank you. The heutagogy conference in Prague (see #heuta13 on Twitter to see the twitter conversations during the conference) was great. Great work by Monika Barton and her team. The ‘learning Safari’ was a great experience in the afternoon and I think everyone loved the application of heutagogy. This involved lots of learning offerings and people selected what they wanted to get involved in and moved around, like a Safari or a feast, and engaged in what interested them. So, no formal presentations but conversations and it went for several hours with people engaged right to the end. Heutagogy in action. Thank you for the opportunity to learn more about heutagogy and to share knowledge collaboratively through this online CoP. Hi Steve. I’m pleased you enjoy the site. We are hoping for a more activity this year and hearing about what people are doing and experimenting with. I’ve just written a book (OPEN: How We’ll Work, Live and Learn In The Future) about how social learning means that we’ll inevitably want to see more of the heutagogy that powers learning socially, into formal learning environments. Hi, thanks for the info re the book. I just obtained a copy. Looking forward to reading it. I liked your description of heutagogy on the site. And I agree with the terminology-we tend to use self-determined learning. Hi, I like the book. Very insightful, particularly your future scan and the way in which we are ignoring what is right in front of us. Education is, by its nature, a very conservative system and will work against it in the need to change in the face of a rapidly and vastly changing world. I sense that it will be dragged kicking and screaming even into the 21st century. Heutagogy and many other innovative ways of looking at learning take a long time to get traction. Even more frightening though is how educators just ignore the evidence that is in front of them and just keep on doing what doesn’t work. Interesting. Would you like to write a blog for the CoP site (this one). Hi, no worries. Please get back to me if you’d like to talk more. I came across this site by accident tonight, and I’m so glad I did. I work in the UK’s skills sector delivering vocational qualifications. There have been calls recently for the development of a framework of vocational pedagogy and I am currently doing a doctorate in which I am developing such a framework and implementing it within my organisation. Heutagogy, as I understand it, seems to fit in perfectly with my constructivist and complexivist roots and is exactly what I have been looking for! What I am trying to reconcile is how it could be applied for time-limited vocational qualifications which have a fixed curriculum and fixed assessment methods leaving little scope for innovation and creativity. Vocational education in the UK desperately needs an approach such as heutagogy, as graduates of the system are deemed ‘competent’ through fixed, ‘narrow’ and mostly simulated assessments – they are certainly not ‘capable’ (generally speaking). Anyway, great stuff; can’t wait to learn more about it. Hi Dave, great to hear from you. If you would like to talk directly my email is stewart.hase@gmail.com. We’ve written some papers on heutagogy and vocational education that may be of use plus our book that came out last year. We have another book coming out in Sept or Oct this year. new to community, really looking forward to some productive conversations with like minded folk. http://steppenwolfmoscow1.blogspot.com/2013/12/pneumagogy.html) in the context of local church leaders. I write to ask if you are aware of any research done on heutagogy in the church/church leader context. stewart.hase@gmail.com if you’d like to talk further or later. FYI I have taught and still teach on occasion research methods to post grad students and I’ve supervised over 25 or so doctoral student and several master student theses. I am intersted to research in the field heutagogy. Hi Nahid. Great to hear from you Nahid. Would you like to expand on what your research interest might be? We have adopted the principles of heutagogy in our LEGO robots & virtual worlds research project. See our BLOG at http://www.mvallance.net for reflections of 2014 and goals for 2015. We have submitted an academic paper which i hope to share soon. Here’s to a productive, enjoyable and inspiring 2015. Hi Michael. Great news indeed. Am really interested in your paper and the work you are doing. Did you want to write a blog for the CoP? What are peoples thoughts on heutagogy as it relates to military professional education? Sorry for the belated reply. Heutagogy describes how people learn and uses brain based research as well as other evidence to suggest how it is possible to deliver education that really works. I see no reason why this would not be applicable to military education. In essence it would mean shifting towards some exciting training methods and away from the didactic and teacher-centric approaches. My name is Chris and I am a middle school teacher in an International school in South Korea. I am currently finishing my Master’s in Education and would like to write my thesis on Heutagogy in the middle school years. I don’t know if it is even possible considering the challenges of my students and the paradigm we operate within but I want to study the efficacy and feasibility of conducting education from the heutagogy perspective. I am wondering if you are interested in providing some insight to my endeavour. I am a very big fan of your work and find heutagogy to be the future of education – for all levels. I have so many questions to ask you and I hope you would be able to participate in my study. I replied to your email-let me know if you got it. Yes, happy to help and I have referred you to Jon Andrews who works at a school in Brisbane where they are implementing heutagogy in their lower and middle schools. Please get back to me if you didn’t get my email response. I did get your e-mail, thank you. Waiting to hear from Mr. Andrews. I’m an academic lecturer in a university,I WITNESSED Hadiza saidu’s doctoral synopsis presentation and developed interest in the approach to be used in my teaching of Adult Learners and include the methodology as an additional Research Areas. I want to join. You too, are joined by just coming to the site. We are not an organisation. Would love to hear about the work you are doing. I’m the process of building a case for my university to start offering graduate-level courses that draw on a heutagogical approach. I now need to find out how big the market is for this type of learning. What successful programs already exist in the world that have a heutagogical focus? That’s an interesting question and not one I’ve come across. What heutagogy or SDL does is to clarify how people really learn, rather than the myths and magic that have dominated education over the years. It is based on the idea of agency, of brain research and other evidence based research. I’m not sure you can market how people learn. You could argue that your program uses processes that really help people learn and develop. I just completed my doctoral dissertation on Heutagogy in Oncology Nursing. It is a qualitative descriptive study, and I used Complexity Theory as a framework. My work is available on ProQuest. I recently presented my work at the Canadian Association of Nurses in Oncology Conference, and a group of educators came up to me, interested in getting more support about how to best facilitate learning for oncology nurses in the workplace. I am so glad I learned about Heutagogy through my course work in grad school. That’s great news. I’m writing a review of heutagogy and where we’ve come since 2000. I’ll get hold of your work through Proquest-looking forward to reading it. That’s awesome Charissa! Thank you for sharing! I’ll try to find your dissertation on ProQuest. What would you think will be the biggest obstacle in the study and application of heutagogical practices and it uses as a theory in education? thanks for your email. I think the biggest obstacle for heutagogy, an for any innovative educational practice, are the policy makers and politicians. As I’ve written previously, education is a very conservative enterprise and human society, as a whole is conservative along with the politicians and bureaucrats it spawns. Conservatives do not like change and try to keep the status quo. True educational reform would contradict this tendency. Our educational systems are driven by politicians and policy makers. Another thing, specific to heutagogy, is that brain research, which explains how humans learn, has not yet found its way into our teacher training programs, Teachers are not great users of evidence-based practice-unlike say Medicine or some Psychology, and science in general. It is basically a humanity. For that it suffers. It has to do with conservatism-I think.